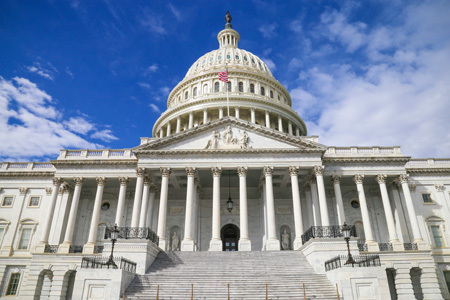 KHA operates federal and state advocacy programs by working to encourage and promote actions of the executive, legislative and judicial branches of government in order to improve health services and benefit hospitals and their patients. Government relations involves representing interests of the membership through communicating with, educating and working to influence those who govern; it also includes interpreting the laws and regulations of government for those whose interests are affected. KHA staff works to influence legislation and regulations in accordance with Board policies. You can see our current advocacy activities in the Advocacy section of the website. 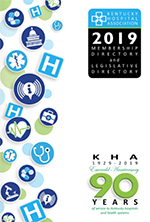 KHA legislative representation extends to all matters relating to hospitals or health care pending in both the House and the Senate of the Kentucky General Assembly as well as in standing, interim or special committees. Such advocacy consists of initiating meetings, developing legislative proposals and reports, fact gathering, attending hearings and presenting KHA positions through testimony, supporting evidence and arguments. In addition to the General Assembly, effective representation to executive officials is of vital importance because of the administration’s power to develop, initiate, fund, influence or cancel programs, influence or veto legislation and influence policy through appointed employees. KHA is actively involved in advocating the position of hospitals in regulatory, payment and policy matters with the Cabinet for Health & Family Services, the Department for Medicaid Services and other state agencies that regulate hospitals. KHA operates the Kentucky Hospitals’ Circle of Friends Political Action Committee (PAC), which makes contributions to legislative and judicial candidates who are supportive of hospitals. In addition, KHA operates a joint fundraising PAC with the American Hospital Association (AHA) that makes contributions to elect an effective U.S. congressional delegation. KHA members are represented at the federal level through coordinated activities with the AHA. KHA stays in constant communication with the Kentucky U.S. congressional delegation and staff with frequent advocacy trips to Washington, D.C., and programs in each local congressional district in the state. KHA also comments on federal rules that impact hospitals, with a particular focus on Medicare, and provides members with the impact of proposed payment changes. The effectiveness of KHA government relations activities relies heavily upon the involvement of its membership. KHA advocacy programs are posted on the KHA website where members can access KHA position papers, comment letters, current legislation and grassroots advocacy tools.